A group of people posing for a picture outside a building in Singapore. At the top of the picture, on a label above the entrance, is the word JARO which would probably help find where this picture was taken in the early 1960s. A search on google reveals it could be Jaro Instruments Pte Ltd Shipping & Marine Supplier Singapore but I don’t know if that company was in existence at that time. Just to the left of the picture is the end of a van or mini-bus, so I don’t know if these people have travelled to this location, are about to travel to a different location, or are employees of this company and the photographer was visiting – that is something we probably will never know now. Johor Area Rehabilitation Organization is an organization providing training and workplace for the physically, intellectually and visually challenged. 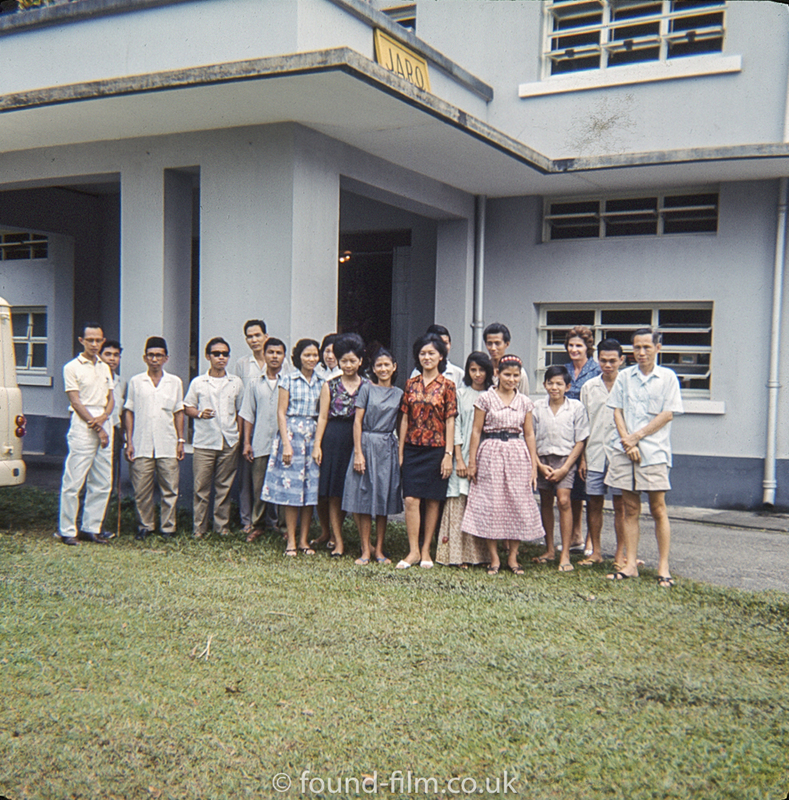 In the 1960 RAF personnel from Seletar used to donate to this Organisation.